The M4V file format is a video container format developed by Apple, which uses M4V to encode video files, such as TV episodes, movies, and music videos, in its iTunes Store. The copyright of M4V files may be protected by using Apple’s FairPlay DRM copy protection. So when you purchased or rented some attractive movies or some other interesting M4V videos from iTunes Store, how can you get the audios in MP3 from iTunes M4V videos so that you can listen to in other devices except Apple devices? There are many ways to extract MP3 from iTunes M4V. But in the first place, you should remove the DRM protection to Convert iTunes DRM M4V and Save as MP4 with Leawo TunesCopy. And then you can extract MP3 from iTunes M4V with MP4 to MP3 extractor. Here comes the solution guides. For iTunes M4V to MP3, it is necessary to convert iTunes DRM M4V and save as MP4 with Leawo TunesCopy at first. This program is a professional iTunes DRM removal program which can remove DRM from iTunes videos, movies and TV shows so that you can Convert M4V to MP3 after that. You can first download and install Leawo TunesCopy on PC first and then follow the guide below step by step to convert iTunes DRM M4V. Step 1: Add M4V File(s) from iTunes. After entering the main interface of TunesCopy, you can click “Add Files” button on the sub-menu bar. After importing M4V files into TunesCopy, you can view the file list under different categories “All”, “Movie”, and “TV Show”. Before removing DRM from iTunes M4V, you can choose an M4V and click “Edit” button to freely choose audio tracks and subtitles for the output MP4 video file. Set an output directory for containing output MP4 file at the bottom of “Home” list. When completing the conversion, you can find the iTunes M4V video file now converted in MP4 in “Converted” section. Clicking the “Open file” option at the end of a target file, you can get the output MP4 file and then it is available for you to convert MP4 to MP3 with MP4 to MP3 extractor. Leawo Video Converter is the video file converter for you to convert videos between all popular formats like AVI, MP4, MOV, MP3, AAC, FLAC, etc. Regarded as a MP4 to MP3 extractor as well, it is user-friendly and easier to be operated no matter where you are only if you have a laptop. And it is applicable for almost all users to convert M4V to MP3 since you have converted M4V to MP4. 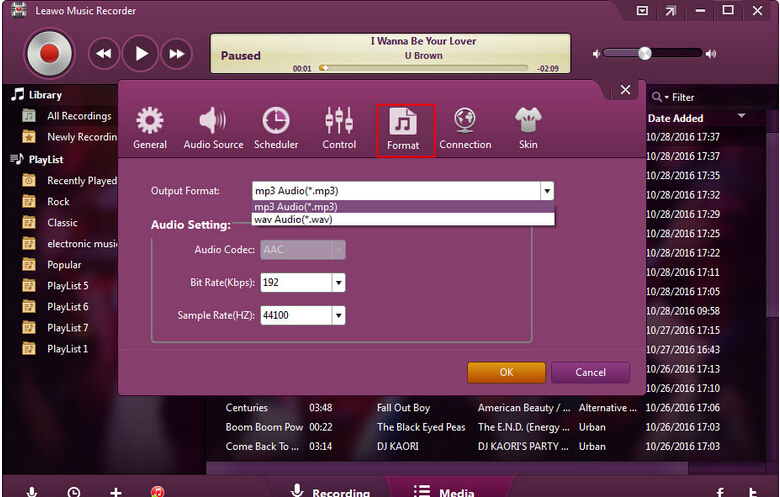 To extract MP3 from iTunes M4V with Leawo Video Converter, you can follow the steps below. 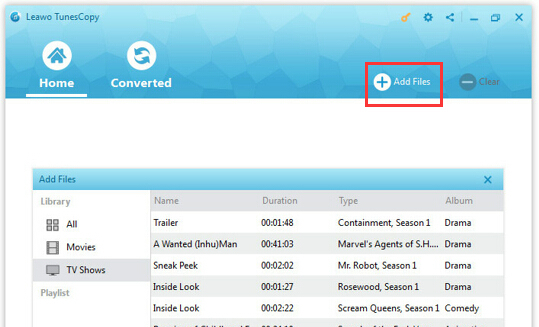 First you can go to download and install Leawo Video Converter through the download buttons below. Step 1. Load the Converted MP4 Video Files. Click on the “Add Video” icon on the top bar of the software, or directly drag and drop MP4 videos to the program. Open the drop-down box right next to the big green “Convert” button and then click the “Change” to enter the “Profile” panel, where you could select MP3 as output format from “Format” groups, or make use of the profile search bar to search MP3 quickly. Step 3. Set Parameters of the Audio. On the drop-down box, clicking the “Edit” option, you could enter the “Profile Settings” interface to adjust MP3 audio parameters of selected output profile, including: Audio Codec, Quality, Bit Rate, Sample Rate, Channels, etc. Step 4. Convert Video in MP4 to MP3. Click on the big green “Convert” button and on the popup sidebar, set a directory to save the output video files in the “Save to” box. Then click the bottom “Convert” button on the sidebar to start converting the MP4 video files till it’s 100% complete, click “Finish”. Then you get the final videos in MP3 version. Now, you finally get M4V to MP3 converted with this MP4 to MP3 extractor due to the removal program Tunescopy beforehand removed DRM protection at the beginning. Although it works great well, it may be a little bit complicated for some people. Nevertheless, there is another solution that is easier to operate – to convert M4V to MP3 with DRM M4V to MP3 converter which is called Leawo Music Recorder. 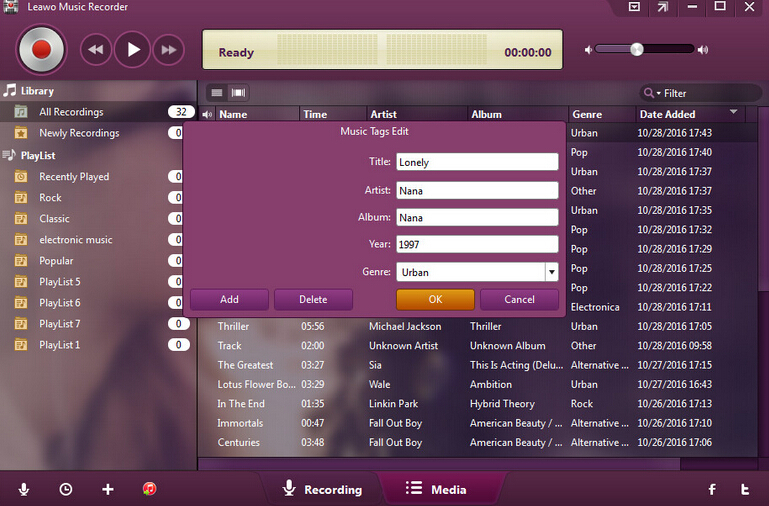 Solution 3: How to Extract MP3 from iTunes M4V with Leawo Music Recorder. Leawo Music Recorder is a top-rated audio recording software program that could record any audio available, and then saves in MP3 or WAV audio format. Here it is able to extract MP3 audio from iTunes M4V video effective with good quality. You can download and install Leawo Music Recorder and then follow the guides below to extract MP3 from iTunes M4V video. Step 1. Launch the audio recorder. You will go to the recording main interface after launching the recorder. 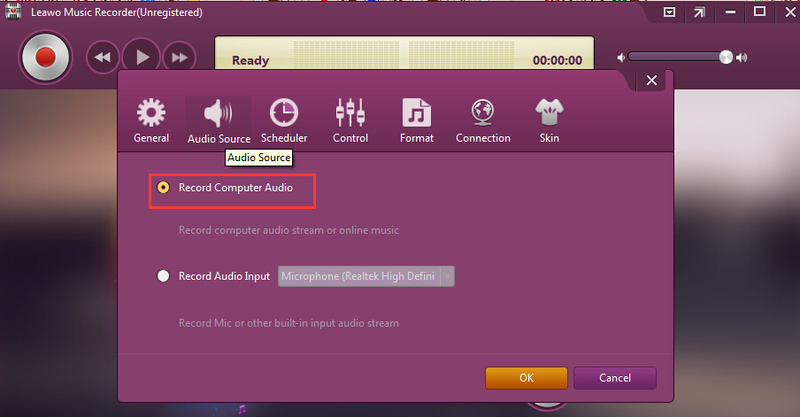 Click the “Audio Source” icon to set audio source firstly. Then select “Record Computer Audio” option. Step 2. Choose MP3 as output format. In the setting panel, choose MP3 as the output Format. Click the red “Start” button to begin recording. And then click to play source M4V files on the computer. And the output MP3 music audios will be done here. Note: If needed, you could click the “Recording task scheduler” icon on the bottom-left corner to set the recording start time and duration. Step 4. Edit Music Tags Manually. 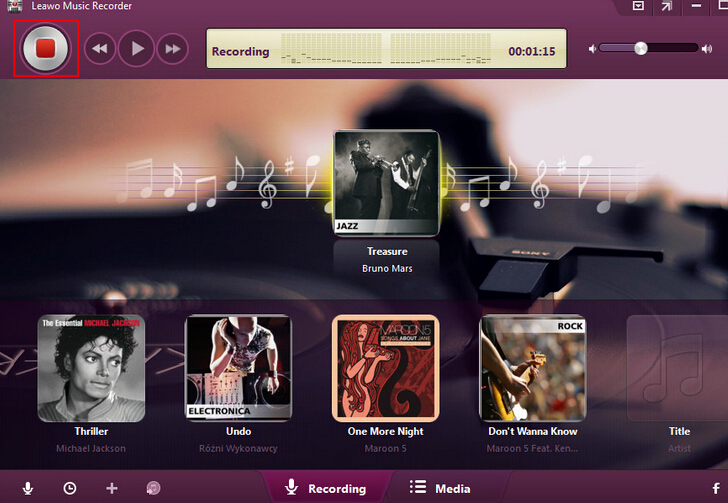 The program would automatically download and add music tags to your recordings. But you could still edit music tags manually if needed: “Media > Library> All the Recordings”. Select a recording and click to choose “Edit Music Tags” to manually edit music tags. Since then, you have extracted MP3 from iTunes M4V with this program and you can enjoy it with your MP3 players or Walkman devices and something like that. Except for this Leawo Music Recorder, other iTunes M4V to MP3 converter programs mentioned above also can extract MP3 from iTunes M4V videos with more steps. Nonetheless, the mentioned Tunescopy, as one of the DRM M4V to MP3 converters and Leawo Video Converter, as a kind of MP4 to MP3 extractor, work together to remove DRM protection of iTunes and get the MP3 with better quality. With the help of these programs, you can enjoy M4V to MP3 as convenient as possible.